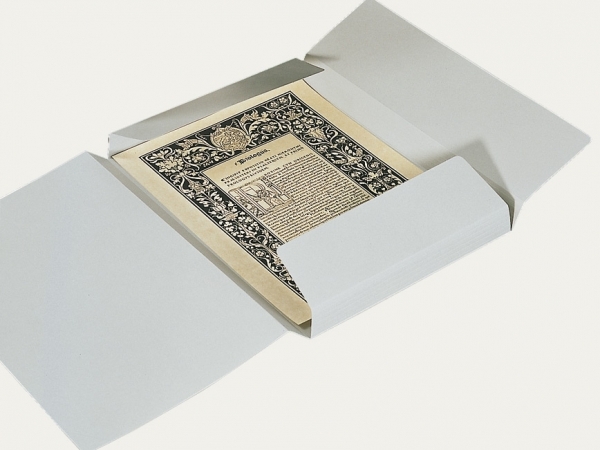 Expansion folders, also called “Juris folders”, are made from a single sheet, with multiple grooves on the flaps. Customer imprints possible. The folders can be delivered with loose or pre-stuck base reinforcements. This prevents the originals being archived against external damages that can get caused due to bending. This minimal enhancement increases the value-for-money aspect to a great degree.